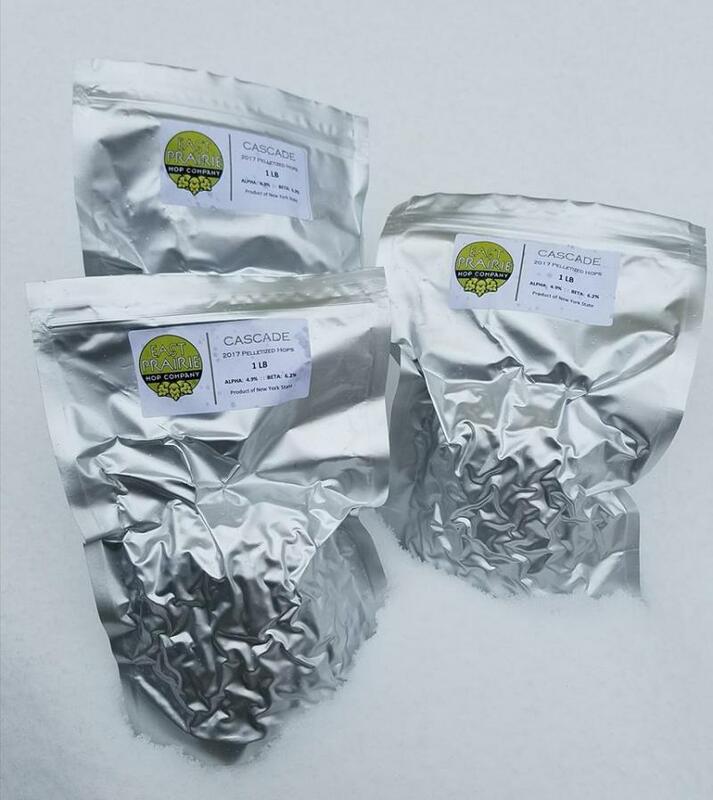 Hops from our 2018 harvest are in stock but going fast! 2017 Newport pellets are now 50% OFF!! Less than 10 pounds remaining. Call today. Our hops are dried at ambient temperatures and pelletized using a custom engineered die to preserve the quality of the hops. They are then packaged in nitrogen-flushed oxygen barrier bags to seal in freshness and extend shelf-life. Contact us for pricing. Discounts available for volume purchase. 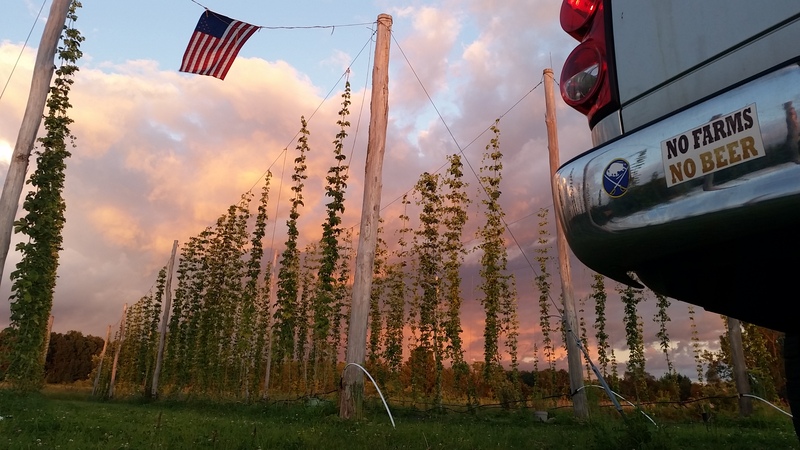 All of our hops include analysis from the Trocaire College Brewing Science Lab, Willimasville, NY. #sHOPLOCAL! All pelletized hops are available in 1 lb packages. Smaller package sizing is available upon special request. Hand or machine picked, our hops are harvested at peak maturity. 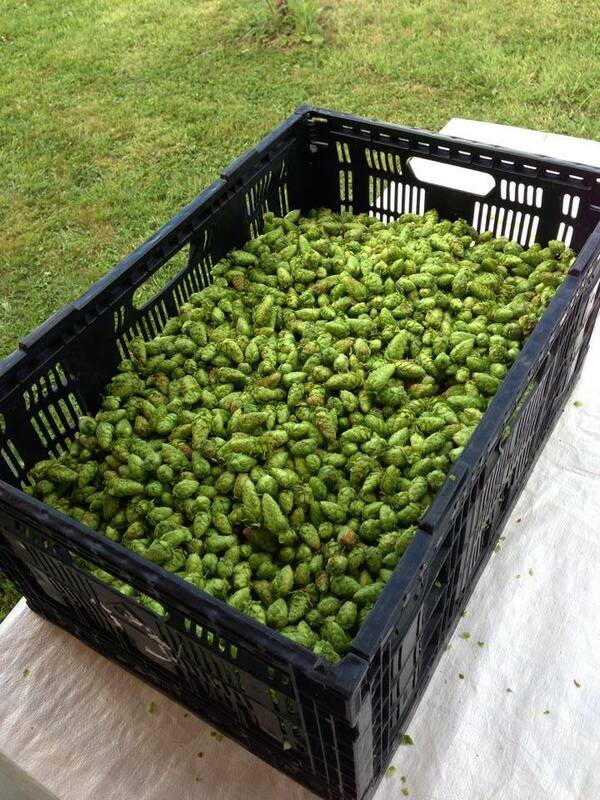 All wet hop purchases must be arranged in advance to guarantee the absolute freshest product for your harvest beer. Advance orders for 2019 wet hops are being accepted TODAY. All varietals available. NO MINIMUM ORDER. A classic aroma and bittering hop with distinctive grapefruit aroma/flavor. The most popular hop among craft brewers. Commonly used in Pale Ales, IPAs, Porters and Barley wines. Aroma hop. A popular American derivative of Fuggle. Earthy, fruity, slightly woody and slightly floral. Used in American and British Ales. A descendant of Magnum, Newport is a high-alpha bittering hop with mild aroma. Fairly pungent, resiny flavor. Typical Beer Styles: Ales, Stout, Barley Wine. ﻿Floral, resiny, candy-like aroma/flavor. Used primarily as a bittering hop and provides a very smooth bitterness. Used in Medium to Dark American Ales and Lagers. Navigate to the ABOUT US tab to see EPHC in the news and to view photos from our world famous Hop Harvest Parties! Please contact us if you have any questions about our hops or our farm. 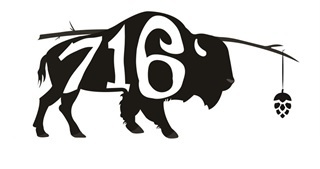 Copyright 2013-2018 eastprairiefarms. All rights reserved.